Part 2: Which Labs do You Recommend for IgG/IgA Gluten and Food Sensitivity Testing? My personal and professional experience has informed my view that gluten is a major factor in contributing to SVT episodes, and that people with SVT have a disproportionately high incidence of gluten-sensitivity (which includes celiac disease). Furthermore, most people with SVT also have other food sensitivities as a result of the gut damage and inflammation in their bodies. I strongly recommend that everyone get tested for gluten sensitivity/celiac disease, in particular, as well as other foods, so that you will know with certainty which foods are contributing to what I call the SVT-Gut connection. I describe this (my) philosophy in depth in my e-guide, The SVT Prevention Diet: The SVT-Gut Connection & the Power of Food to Control Your SVT and Transform Your Health. 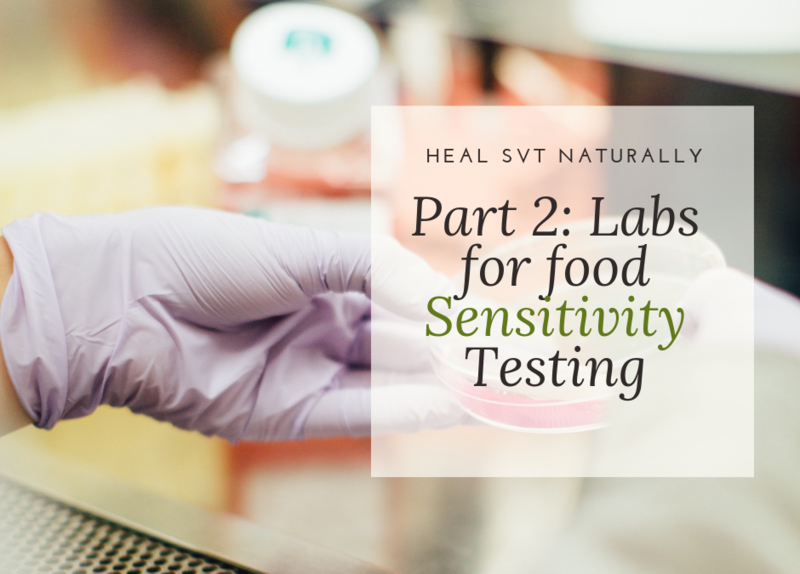 The knowledge you obtain through lab testing will support your commitment to make the necessary adjustments in your diet and lifestyle for SVT Prevention. Normally, your traditional doctor does not test specifically for the IgG/IgA response. The type of practitioners most likely to provide IgG/IgA testing are functional medicine doctors, naturopaths and chiropractors to name a few. Remember YOU are the one who has to specify and confirm with your practitioner/doctor that you want to be tested for the immunological delayed response associated with the inflammation I associate with the SVT reaction. Traditional docs may not have the knowledge or option to order an IgG/IgA test. Therefore you can seek testing on your own through the labs that I list below or others that you find on your own. When looking for a lab, choose a provider like you would any other product: read internet reviews and call their customer service to find out exactly what they test for.My co-author of the upcoming SVT and Gluten Free-guide, Sharon Goldner, and I have both used the services of the diagnostic laboratories listed below, and have found our results to be reliable and useful. While these labs may be out-of-network providers on your medical plan, getting tested may be one of the best investments you will ever make to heal and safeguard your body. Paying for tests out of pocket, can feel like a big expense, but for me, it was a major step in giving me the exact dietary guidance I needed to 1. Inform myself of my specific food sensitivities and thus 2. rid me of SVT root causes. A general understanding of common food sensitivities, along with my anecdotal experience as an SVT Coach and Integrative Nutrition Health Coach working for years with people with SVT, is part of what helped me to design The SVT Prevention Diet that I now recommend to our community. Requires a doctor’s prescription. (Again, this is usually a functional medical doctor OR, finding a doctor who is affiliated with vibrant wellness. You can look on their website or call Sherleen. She may be able to help direct you to a referral. “Recent studies indicate that sensitivities to gluten and other foods are far more widespread than believed. Expert testing has revealed that as many as one in three people are gluten sensitive, and for people who have symptoms and conditions, the number jumps to one in every two”!! Genetic testing (cheek swab) to detect Celiac and Non-Celiac Gluten Sensitive genes. This is the easiest and quickest way for you to find out if you and your family members carry one of the HLA DQ2/HLA DQ8 genes associated with a gluten-related disorder. Test-ordering through their website; no prescription or doctor visit required. Results sent to you through email. Phone consultations available with specialized dietician for an additional fee. One scenario that works for many people is to first get the genetic test at Entero Lab for $149 (and subsequently test family members if you carry one of the genes); and then go deeper and broader at Vibrant Wellness to get a measure of your immune response to wheat/gluten and 90 other foods. These are just two labs that Sharon and I have experience with, remember there are more, you can research on your own, and specific to what’s available in your state or country. What to do after your lab results? Once you determine the foods you are reacting to, you may need support in accepting the results, transitioning your diet, removing foods, replacing foods, and learning how to re-create your favorite foods without ingredients that are making you sick. Here are some resources that I provide, to support your next steps. The SVT Prevention Diet E-guide- This 200 page downloadable color e-book explains in depth the SVT-Gut connection, foods to eliminate and why, and beneficial foods to add in. The Diet is specific to people with SVT, therefore it covers details that will help you reduce excess heat, another svt contributor. 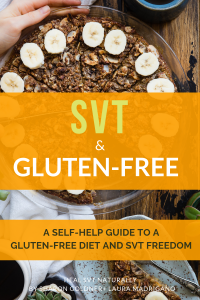 It includes recipes, food combining, and an entire section on dietary self-care for SVT. Very useful information! Could you repost on the Facebook page as I believe most folks check it before visiting one’s website. So happy you are doing a gluten – gluten kitchen publication! I recently took the 23 and me testing and found the only genetic marker for any disease they test for that I carry is one for celiac disease. 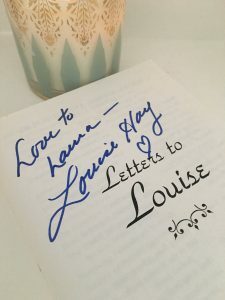 I’ve had SVT for many years and have purchased your guides and found them very helpful. I rarely experience symptoms and I carry medication in my purse if needed but had noticed my episodes were linked to food choices or excessive stress so I was quite intrigued to see that genetic marker on my 23 and me test.